Susquehanna Valley is well represented in the February 2019 edition of Biblio-Files, a publication from Broome-Tioga BOCES spotlighting what's happening in school district library media centers. Seven Richard T. Stank Middle School students, along with Technology Teacher Kurt Rezucha traveled to Owego February 28 to participate in the annual Lockheed Martin Engineering Day. MR. REZUCHA AND THE STUDENTS completed hands-on tasks, got a tour of numerous parts of the facility, and were able to get into the helicopter simulator. RTS Middle School welcomed more than 200 guests to its annual Thanksgiving luncheon for area senior citizens November 14. RTS Stands Up to Bullying! We want our schools to be free of bullying and harassment - a place where students, staff and visitors feel safe and respected - a place for learning and having fun. Let's all do our part! To report bullying or harassment, use this INCIDENT REPORT FORM. 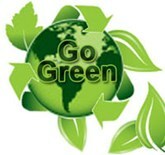 At Richard T. Stank Middle School, we are going GREEN! We are once again collecting and redeeming ink cartridges, cell phones, iPods, video games and consoles, scientific and graphing calculators, DVDs and GPS devices, digital cameras and laptops. Money from our Go Green campaign is used to help our P.T.O. offset the cost of some of the programs they provide to our students. Go Green runs all through the school year, so if you've got any of these items laying around, you can drop them off at the RTS Middle School Main Office (or send them in with your child) and help keep our planet clean and green and raise money for our student programs! Join the PTO - GET INVOLVED! Join the Richard T. Stank Middle School P.T.O. PARENTS: The New York State Department of Health has issued an update on its meningoccocal vaccine requirement for the 2018-2019 school year. Visit our Health Services page to learn more.